Central to Geoclima's success story in Australia is energy efficiency. In fact within a year of setting up shop the company undertook the retrofit of a water cooled 600kw chiller at the Holiday Inn Hotel in Parramatta, west of Sydney. The before and after energy consumption figures tell an impressive story, according to the hotel's chief engineer, Steve Mitchell. He said the Geoclima TMH2A550 model replaced the original chillers with oil-lubricated compressors. “From commissioning right through to today we have seen average daily savings to the tune of 2000 kW-hr,” Mitchell said. Efficiency and sustainability has always been a part of the Geoclima story but the recent introduction of innovative refrigerants has added even more value and extended the company's product range. The innovation comes from the use of refrigerants with very low GWP, such as HFO-1234ze and R290. In early 2014, the Intergovernmental Panel on Climate Change stated that HFO1234ze has a GWP<1, that makes it lower than CO2. Moreover it is non-flammable, which makes it safe to use. R290 is a natural gas and has a very low impact on environment, with GWP=3 and ODP=0. In addition to that, it has excellent thermodynamic properties, which lead to high energy efficiency, and is suitable for both positive and negative temperature applications. Italian chiller manufacturer, Geoclima, first established its presence in Australia in 2014. The company set up its Operations, Service & Training Centre and a comprehensive stock of spare parts and chillers in Melbourne. Geoclima sales manager, Ashley Morgan, said a lot has happened since the company came to Australia four years ago. “Since then we have installed a couple of hundred chillers and customized systems, developed our service and support network and built an impressive portfolio of loyal customers,” Morgan said. “The service response and its high standard comes from the fact that each Geo chiller has a remote access capability and regularly uploads its operational data into our www repository, which our customers find very useful, especially when it comes to diagnostics of the whole chiller plant. In most cases, Morgan said service calls can be avoided thanks to Geoclima’s sophisticated control algorithms and remote access. “This mobile communications link is invaluable for both fine tuning and energy optimisation,” he added. Geoclima products cover a very wide range of equipment, from pharmaceutical grade AH Units, through to chillers powered by scroll, VFD-equipped screw and oil-free compressors. 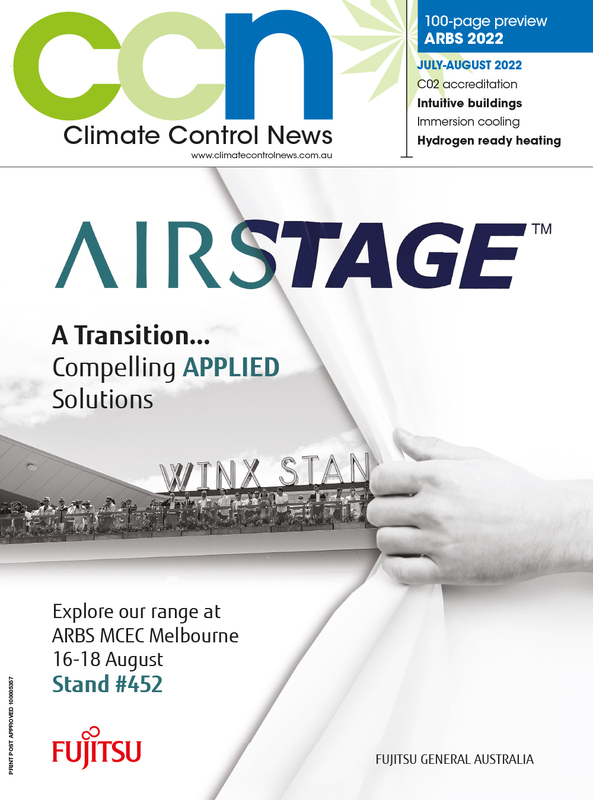 “We are very proud to be one of the Turbocor-authorised service and training providers in Australia and to serve in low temperature glycol specifications including ice rinks, mission-critical data centres, process cooling and comfort HVAC applications,” Morgan said. Another important part of the Geoclima success story is customization. The goal is to offer the most suitable solution for any kind of installation, with c ustomization if necessary, to meet the clients’ specific requirements. All phases of thermodynamic, mechanic and electric design are developed within the company, with the support of advanced IT systems. Thanks to this customized approach, it means greater flexibility with different problems by quickly proposing suitable and ad hoc solutions for any kind of request. One of these is the development of modular units. These solutions are particularly useful, and even fundamental, for indoor installation, especially transporting through doors, corridors and elevators. Geoclima products can be disassembled and reassembled on site. This design provides a suitable and efficient solution, ensuring the same performances and capacities of non-modular units. All types of machines can be provided and developed in non-standard versions, thanks to the flexibility of Geoclima's ability to customize.